The New Milford Rotary Club meets on Tuesday's at 12:15pm at the Holiday Restaurant, Big Y Plaza, New Milford EXCEPT the 3rd Tuesday, meeting @ The Maxx, 94 Railroad Street, New Milford. The club was chartered January 12, 1960 and annually raises in excess of $50,000 which is used to support local charitable organizations and club projects. 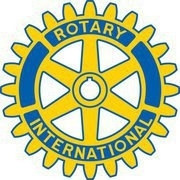 New Milford Rotary also supports international projects and the Rotary Foundation. Rotary has contributed tens of thousands of dollars and countless volunteer hours ito the New Milford community.